Settlement Agreements came into effect on 29 July 2013. Prior to this, they existed but were called Compromise Agreements. These agreements are a legally binding way to bring to an end an employment relationship and/or to resolve a dispute in the workplace. 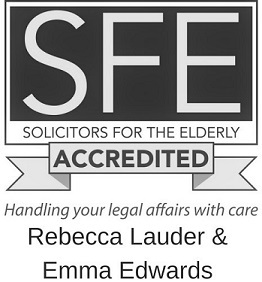 The motivation behind using a settlement agreement is to try to avoid both parties ending up in an Employment Tribunal. Tribunals can be expensive and time consuming and being able to settle any problems or disputes before they reach this stage provides a swift conclusion, and means that both the employer and the employee can move on. When a settlement agreement is concluded an employee waives any future right to make a claim against an employer in a court or to an Employment Tribunal. There is no obligation to enter into a settlement agreement, they are always voluntary. Settlement agreements must be in writing. Although settlement agreements are often used where an employment relationship is being terminated, they can be useful at any stage where there is a dispute. The settlement agreement will usually include reference to a payment that is to be made to the employee, as well as other conditions, such as the employer providing a reference. There are a number of situations where a settlement agreement comes in useful. These include redundancy, voluntary redundancy, voluntary severance, disagreements between two employees, after the formal grievance procedure has been activated or where there have been allegations of either poor performance or misconduct. It is usual for the employer to cover the costs of a settlement agreement, including the employee’s legal fees. Getting the advice of a solicitor is a key part of the process and the agreement won’t be considered legal until the employee has been given legal advice on the document they want to sign. Two of the key clauses in a settlement are those that relate to the termination date and the termination payment. These will establish the date from which the relationship comes to an end, as well as the details of any payment being received once the settlement agreement comes into play. Factors to bear in mind here include whether to work a notice period – or be paid in lieu of it – as well as how the payment has been worked out. What are the employment contract conditions? As well as any payment instead of a notice period, the settlement agreement should include any benefits or holiday owed to an employee, in addition to outstanding expenses. There may also be restrictions in an existing contract of employment, such as other companies the employee can or can’t work for or a period of time during which an ex-employee must remain off the market. Many employees want to have a say in the wording of an announcement about their departure and this can be set out in the settlement agreement. In addition, the wording of a reference to a future employer can be specified here. Before moving on there may be company property to return and there will always be a confidentiality requirement in order for the settlement agreement to be effective. To discuss your settlement agreement with a Solicitor in Lancaster or Preston please call 01524 386500 or click here to send a message.